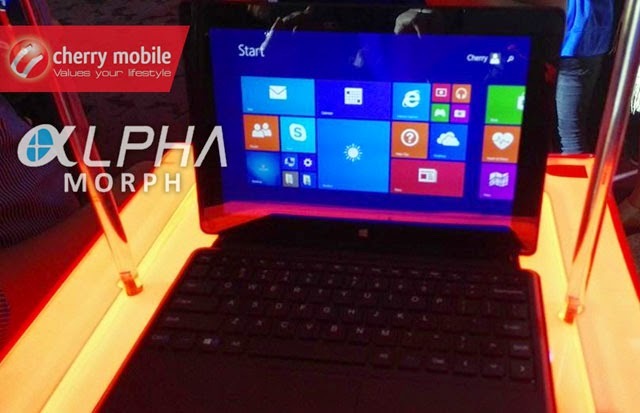 Cherry Mobile’s We’re on Windows event concluded with the Cherry Mobile Alpha Morph – a 10-inch Windows 8.1 tablet that can also serve as a full-fledged laptop. 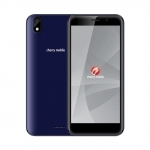 The Cherry Mobile Alpha Morph is Cherry Mobile’s answer to the Pinoy’s need for productivity on the go. You can use it to create reports or documents, play PC games and have fun with social media apps! 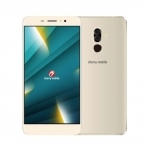 Cherry Mobile Alpha Morph runs on a 1.33GHz quad core Intel Atom processor with an Intel HD Graphics – Gen 7 GPU and 2GB of RAM. This is more than enough for a very smooth Windows 8.1 experience. 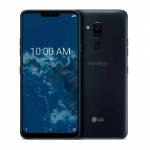 Its 10-inch display is a WXGA panel and uses IPS so viewing angles should be good. This screen is probably just around the same quality as your current laptop. 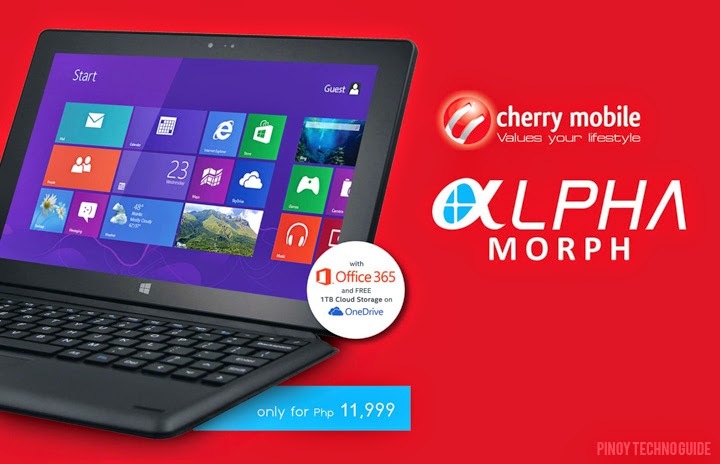 Take note that the Cherry Mobile Alpha Morph runs on a full version of Windows 8.1 – the same as that on your desktop PC. It also comes with a free subscription of Office 365 for a whole year! Aside from the free Office 365, each Cherry Mobile Alpha Morph units will also have 1TB of free cloud storage on OneDrive. It comes with 32GB of SSD storage space that can be expanded up to 64GB via MicroSD. 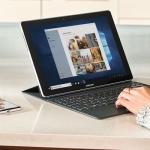 If that’s not enough, you can also connect a USB flash drive or an external HDD. Its cameras are understandably low quality at 2MP only for both the front and back. The front one is good enough for video calls but the rear one isn’t very usable. Each unit comes with a free Keyboard where you can attach the Cherry Mobile Alpha Morph when you’re ready for some serious typing. It even doubles as a cover to protect your new gadget! 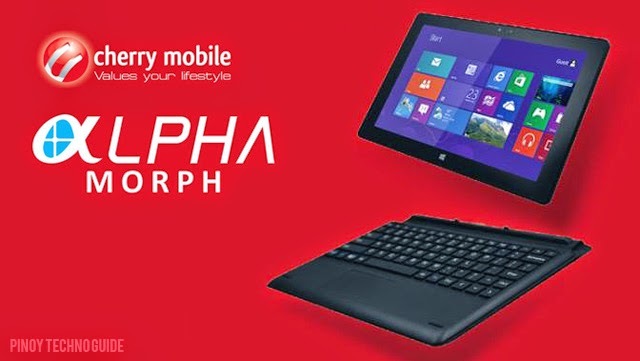 Check out the Cherry Mobile Alpha Morph which retails for only ₱11,999 in the nearest Cherry Mobile kiosk or concept store in your area in the coming weeks. Are you interested? 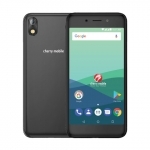 Cherry Mobile has done a very wise decision to offer Windows powered smartphones and tablets here in the Philippines – agree?